Clarifies and refines skin with pure, powerful Japanese botanicals: Japanese Wild Rose visibly tightens pores and smoothes skin texture. Delivers anti-aging Japanese superfoods: Hadasei-3™, an anti-aging trinity of green tea, rice & algae, restores healthy-looking, youthful radiance. Ideal for normal to oily skin. Oil-free. Non-comedogenic. Non-irritating. Non-sensitizing. Oil-free. Non-comedogenic. Non-irritating. Non-sensitizing. Dermatologist tested. Cruelty-free. Scoop a pearl-sized amount of cream with the gold spoon. Massage onto face, neck and décolletage in upward strokes. Use daily, morning and night. The Water Cream is rated 4.5 out of 5 by 96. Rated 5 out of 5 by Dale from Desert Island Product Having been on a twenty year search for a moisturizer that will work for my combination, sensitive, and picky skin I can finally say "I found it!". The Water Cream is light but rich; creamy but gel-like; soothing but powerful; in other words, it's everything I hoped it would be. All of Tatcha's products are wonderful but I found the Silk Cream just a little heavy for my skin and the humid climate in which I live. In a month of use, I can see the visible tightening of pores and a reduction in my fine lines, not to mention that my skin tone has evened out and calmed down. My search is over. 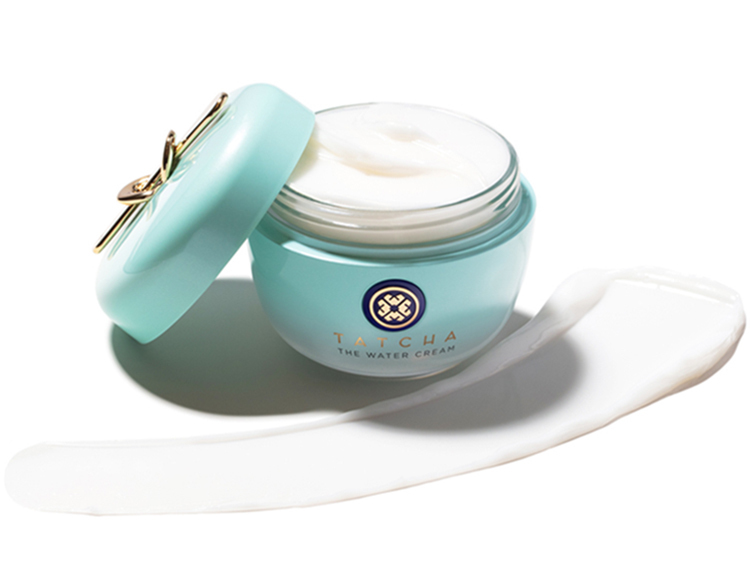 Tatcha's Water Cream has answered all my moisturizing needs. 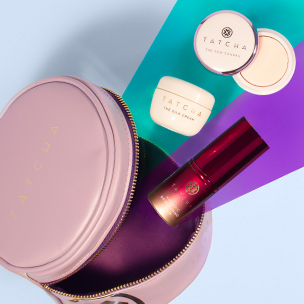 Rated 5 out of 5 by Ollie2525 from I love it I have tried the other face creams Tatcha has to offer and they are all beautifully unique in their own ways but out of all of them, the Ageless Enrichment Renewal Cream and The Water Cream are my absolute favorites. The Ageless is perfect for night and the Water Cream I find is absolutely beautiful as a day cream. Yet again, I’m totally taken away by this cream. It feels weightless which that is what I need because my combination skin can feel heavy with most face creams. And as with all of TATCHA’S products, you barely need any so it lasts so much longer and so nourishing for skin. Forever my go to because I’m never going back to normal brands. Thank you again TATCHA! Rated 5 out of 5 by Anonymous from Perfect for my post-menopausal acne prone skin I have been searching for the perfect anti-aging moisturizer for my ever changing post menopausal skin which is actually somewhat dry but prone to acne breakouts which I have never had before. My skin drinks in the Water Cream, which seems to plump the skin. My pores are growing increasingly less visible with continued use. I find that it works well as a serum because of the fact that it completely absorbs into my skin. I also use the Tatcha cleansing oil and rice enzyme powder as my cleansing ritual. LOVE LOVE LOVE Tatcha! Rated 5 out of 5 by Anonymous from Amazing As someone who has very sensitive/acne-prone oily skin, this product works wonders! It is very hard to find a moisturizer that does not clog my pores or cause me to become more oily throughout the day, which in turn leads to breakouts. This moisturizer has helped reduce my oil production and keep my skin very clear and smooth. The difference I have noticed with my skin's texture is amazing. I can't rave enough about this product. Granted, it costs more than most of us would like to spend, but if you feel your skin is an investment worth making like me, then it is definitely worth it! 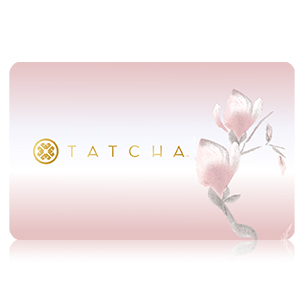 Rated 5 out of 5 by Louweez from LOVE <3 <3 <3 I ordered few items from Tatcha after knowing about this brand for awhile, their skincare products wow me. The package comes with a sweet note, every item is impeccably presented and exquisitely packaged. I love how it comes with a lovely spatula for hygienic reason I would say. This water cream smells fresh, like a tiny bit of floral scent which I quite like. It is pretty hydrating and NOT greasy at all, very light, perfect for oily/combination skin in the summer. And, that made in Japan quality!! Love love love Tatcha!! Rated 2 out of 5 by Anonymous from Another mediocre product in expensive packaging. I am one with sensitive skin, but this product did not cause my skin to break out. It is fine as a light moisturizer, but beyond that it does *nothing* that the manufacturer claims that it does. I have enlarged pores on my cheeks. Using the Tatcha Water Cream religiously certainly did not help alleviate any of that. Just to be sure before being conclusive about the ineffectiveness of this cream, I went through 2 bottles.The hefty price-tag is for a mediocre product in fashionable packaging. You are pretty much paying a fortune for the fancy bottle, and not for the product. What helped my enlarged pores is a periodic, light microdermabrasion, not this product. Rated 5 out of 5 by Martha from Pure Delight, Soulfully Invigorating, Uplifting!! I've tried a few products since I started taking care of my facial skin at the tender age of 15. 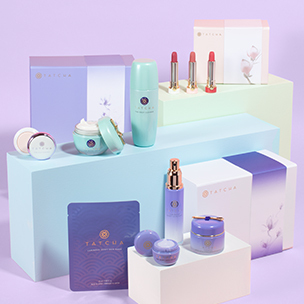 Tatcha is superior. By far the most positive and enhanced performing skin products I've use. My skin look 100% normal only after 2 weeks; used both cleansers, Rice enzyme polish, and the water cream. Also the Rice Polish is addictive. I cleanse and moisturize daily but now I actually enjoy doing it. Love, like, Tatcha! I am a sucker for superior skin care so I guess now I am hooked for life. Please I ask the founder Victoria. Continue to evolve this product. I think I need to stock up:) Much Gratitude for this find. Is it safe to keep this cream in the fridge? Thank you for your question! The Water Cream may be stored in the fridge if you like, but it is not necessary. Just keep this treasure away from direct light and heat and it will be good for 2-3 years unopened and about 6 months once open. We hope this helps! Does this moisturizer have anti-aging properties? Yes, the Water Cream features our signature anti-aging HADASEI-3&trade; Complex of Green Tea, Rice and Alge, combined for their abilities to soften, smooth and restore youthful radiance. 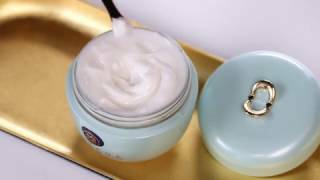 What is the difference between The Water Cream and The Silk Cream? The Silk Cream is our classic gel-cream, rich in nourishing Silk extracts to offer anti-aging, weightless hydration for normal to dry skin. The Water Cream is a water-splash formula designed for normal to oily skin that balances the complexion and refines pores. Both feature our signature, anti-aging HADASEI-3&trade; Complex. How does this compare with the Silk Cream, i.e. what benefits from either? I have the cleansing oil and rice exfoliant and am trying to decide which step 3 in the ritual to use. Thanks. Thank you for your question! Our Silk Cream is ideal for Normal to Dry Skin. It is a gel/cream hybrid that feels lightweight, but provides ample hydration. Silk and pearl extracts mimic the amino acid composition of healthy, youthful skin adding to the appearance of smoothness and glow. The Water Cream is ideal for Normal to Oily and acne prone skin. It is oil-free, and bursts upon application releasing Japanese botanicals to help balance oil production, minimize the appearance of pores, and keep breakouts at bay. 23K gold adds radiance without adding shimmer. We hope this helps highlight some of the differences in these two treasures! How long does The Water Cream last? Thank you for your question! All full sized items are designed to last about 3 months when used as directed. We hope this helps! Will this item make me break out? The Water Cream is tested to be non-comedogenic (meaning it will not clog pores or cause breakouts). This moisturizer features ingredients known to balance the complexion and improve the appearance of acne. Can Water Cream be used around the eye area? What is the ph of the water cream? Thank you for your question! All moisturizers within our line have a pH that is neutral to slightly acidic, like that of skin. We hope this helps!